There are many benefits of APIs to your organisation – the first being agility. When your organisation can launch products to market faster, you can realise your digital strategy faster. If you release faster you can respond to customer needs faster. APIs also enable you to create mobile apps – a great way to create habits with customers. There's also a customer lead benefit, because with an open API you can pump leads directly into your business more quickly. By integrating external data sources into your organisation, enrichened leads also means faster underwriting. There are a breadth of new intermediaries in the market (see our previous article about intermediation and brokerage in the digital era). But how can your business development team handle all these different platforms? And how can they review more leads? The answer is that by creating an API for these platforms to send leads over, you will receive all your leads directly into your CRM. As a result you can engage with a wider group of these partners and platforms and manage a higher volume of leads. Furthermore by providing indicative offers or quotes directy to customers, you are more likely to be picked by traffic on the platforms. As a result, more leads will flow towards your service offering. Is the customer bona fide and can they pay back the principal with interest? Answering these two questions is no easy matter and lenders who best manage these risks will surely succeed. Investing into APIs within your organisation and engaging with third parties to bring these checks into your organisation will surely result in success. KYC: Onfido, Tracesmart and Experian. 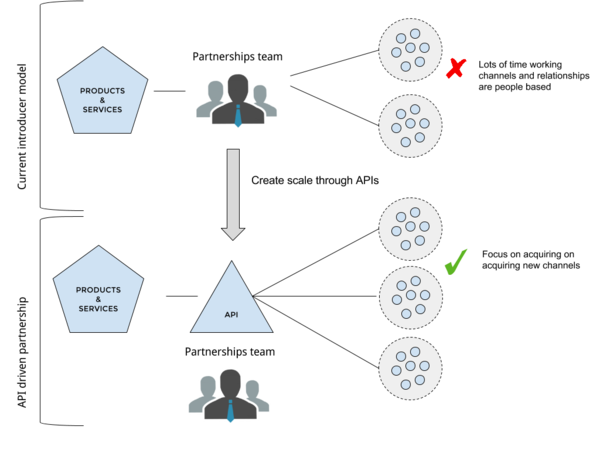 Creating an API that's difficult to use will mean a higher cost of onboarding a new partner. Fortunately there are great tools out there to do this for you such as Apiary.io or Swagger.io. Facebook, Google, and other large players simply don’t have anyone to speak to with their API platforms. 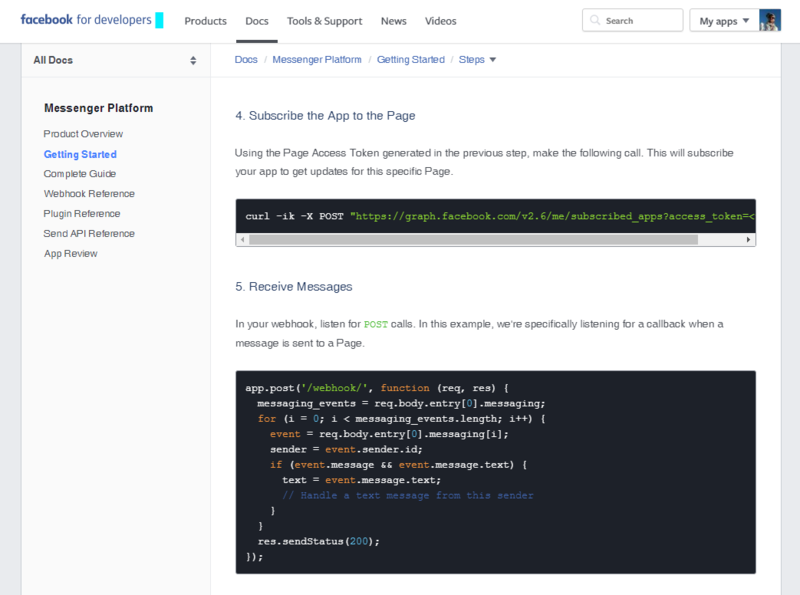 Developers of their partners and customers will read API documentation and get started. This is also a critical part of becoming a partner of the API economy. The scale that APIs provide can allow your partnership team to focus more on onboarding partners rather than just being the conduit for deals. Many organisation worry about building around their business systems. This is where microservice design can bring agility to your organisation, because you can run multiple microservices in parallel. This can be an involved process, but software experts have done this over and over so using their knowhow and infrastructure to accelerate your roadmap delivery is essential. Want to chat about APIs and your business? Drop us a line – we'd love to hear from you! This article was originally published under Byng, which merged with Inviqa in October 2016. For more information about the merger click here.